It's an aggravation that many photographers just don't want: having to manually quit Photos for OS X every time a memory card is connected to the computer. But it doesn't have to be that way. The scenario goes like this: you insert a memory card or connect your camera to a Mac running El Capitan, and the import dialog for Photos for OS X pops up begging for attention. This is great if your intention is to import into Photos. But if not, that's annoying. If you use the same image capture device all the time, the fix is easy. Just uncheck the box next to "Open Photos for this Device." The problem is, depending on how your memory cards are formatted, or if you use a variety of cameras, you'll still experience the unwanted import dialog. The Terminal app is located in your Utilities folder, and the process is as simple as opening the app, pasting this command in there, pressing Enter (the return key), and closing the app. I tested it, and it seems to work just great (Thanks Ben!). 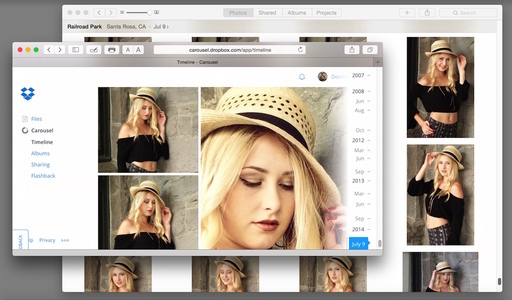 Of course, if you use Photos for OS X as your primary picture management application, then you probably don't care about any of this. But you may be interested in learning more about using Photos. 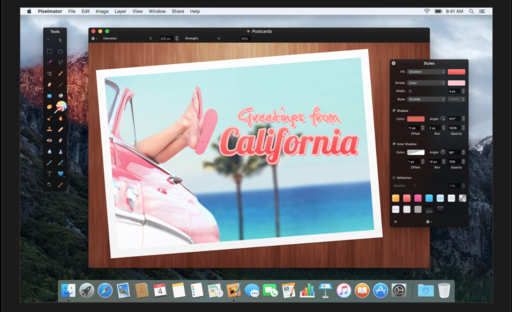 If that's the case, be sure to take a look at Photos for OS X Essential Training on lynda.com. The one thing I learned while working on Photos for OS X Essential Training is that there's more to this application than I realized... especially after the new El Capitan release. 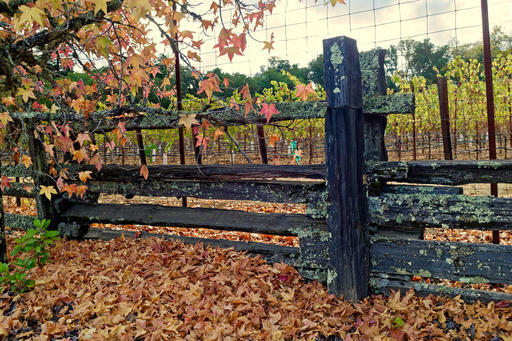 In this title I show you the ins and outs of this maturing application from a photographer's point of view. 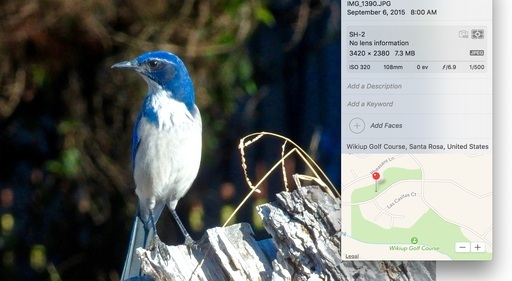 I explain how to use the sophisticated geotagging function. 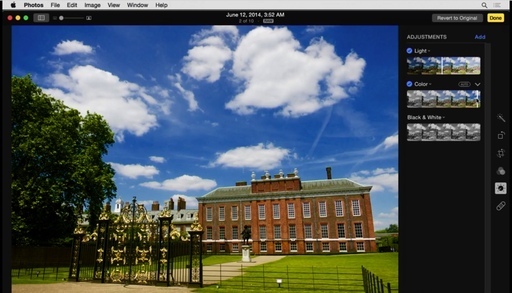 And I demonstrate the editing extensions, which provide an open door to Photos allowing third party developers to add powerful new features. Take a look at the overview movie and table of contents. 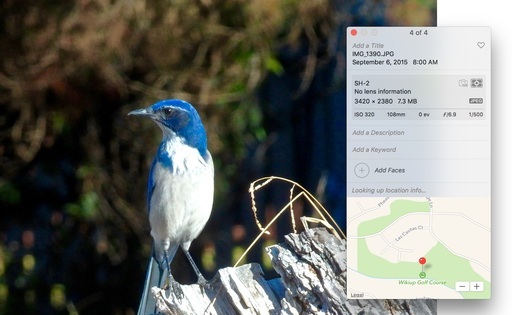 Then you might want to revisit this intelligent photo app that's right under your nose. 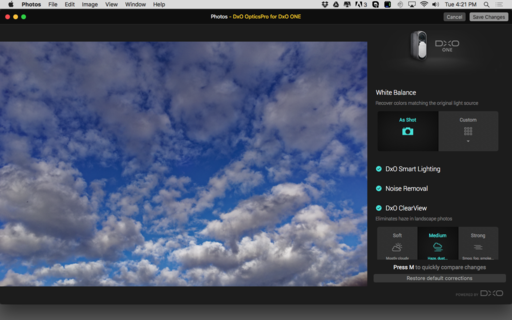 Even though one of the strengths of Photos for OS X is iCloud integration, that only works with Apple devices. 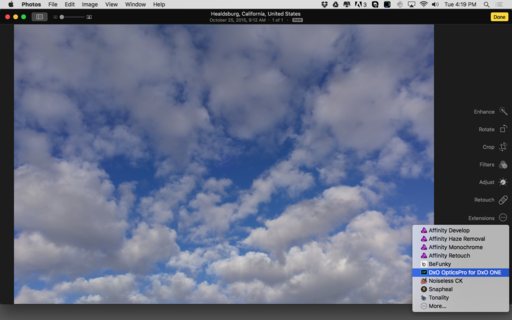 If you want to share images outside of the Mac/iOS sphere, Dropbox makes more sense. Dropbox runs on practically any device and operating system. So even if you manage your images in Photos for OS X, you can push copies through Dropbox quite easily. Plus you have additional backup. And when it comes to pictures, redundancy is a good thing. 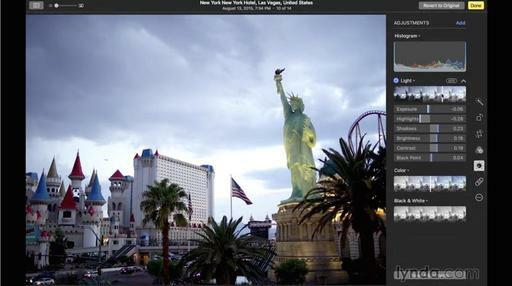 Carousel on a Mac on top, with Photos for OS X in the background. These two apps can work together to expand your Cloud capability beyond Apple's ecosystem. Photos by Derrick Story. The key to this system is installing the Dropbox app on your Mac that gives you Finder integration. 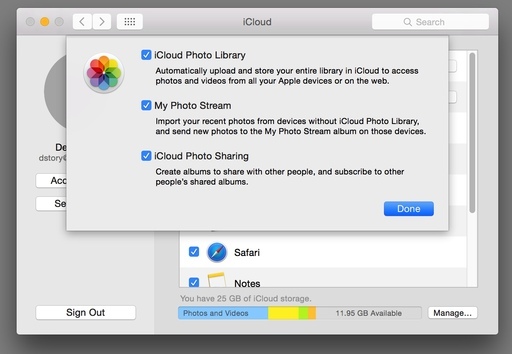 By doing so, you can simply export images in bulk from Photos for OS X to a Backup/Sharing folder in Dropbox. It's easy and fast. Here's a movie on how this works. A nice bonus to bringing Dropbox/Carousel into the mix, is that you get the Flashback feature that shows you images that you took on this day back in time. I really like it. 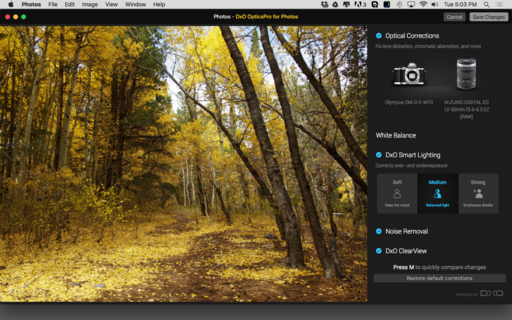 Image editing in Photos for OS X is quite intelligent. 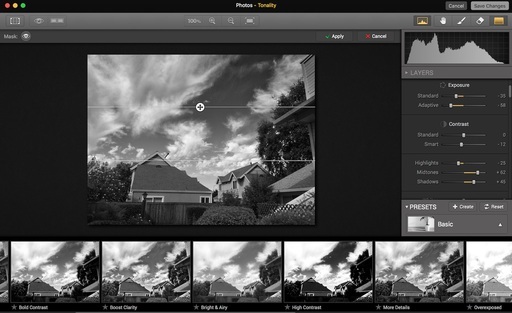 You can go as simple as one-click enhance, or drill down through the set of smart adjustment sliders. In this video, I show you the first two levels. Most images can be spruced up in just a few seconds using this approach. In the following movies for this title, I drill down to more advanced adjustments, allowing you to get just the right look for your picture. 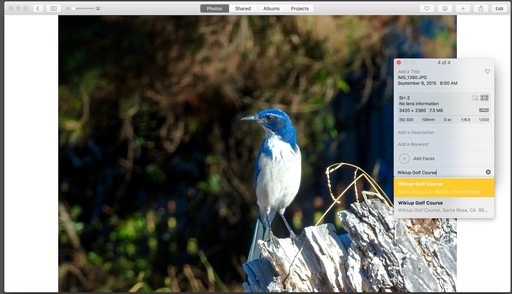 If you have an Aperture or iPhoto library that you would like to bring in to the Photos for OS X environment, then migration makes a lot of sense. I recommend that your start with a smaller library to get a feel for the migration process. And there are a few gotchas you should be aware of. Unless you make the migrated library your "System Library," it won't be connected to iCloud and available across all devices. You can only have one System Library. It isn't easy to merge libraries. There isn't really a process for this. So if you wanted to combine an existing System Library, with a newly converted library, you'll most likely be disappointed. 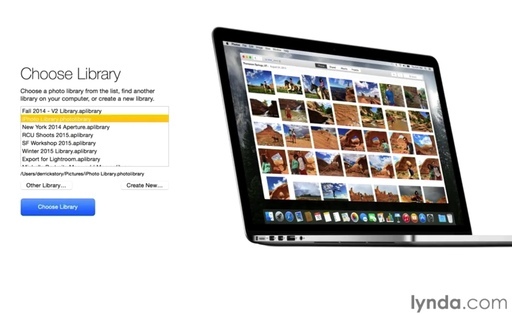 You can switch among libraries in Photos for OS X. So you can go back and forth between a System Library and one that has been migrated. Of course all of this could change in future updates. But if you want to know the best procedure for migration now, and what you can and cannot do once go through the process, watch my lynda movie on the subject. I'll walk you through the migration steps.